Thank you, thank you to all of you who visited Kate and myself and leaving wonderful birthday wishes. Wow! You do know how to party!! For your comments, the dancing and singing ecards to the thoughtful emails: thank you. C: "Oh you don't remember do you, that's ok we can reschedule"
Me: "You know what? Whatever I said we'd do, let's do it....it was legal right?" C: "Ok, now you are scaring me...You said Pana Cottas were easy and now I am freaking out!" Me: "no no no...easy peasy....promise. Here's the list of stuff to get. I'll go behind the house and get blackberries." That was just part one of the adventures. I did try to get the blackberries, I did, I promise....but looking and bending down trying to pick out the ripe ones proved to be a rather painful adventures, my head, my stomach and the vodka from the night before all colliding at the same moment. That's when my best guys arrived and saved the day! Indeed, C's twins came armed with baskets and in 20 minutes had blue hands, blue tongues, blue shirts and about 2 cups worth of blackberries. In the meantime I played with the computer a little, as I am trying to put a page up and a map to keep you abreast of the Traveling Eggs adventures, but bear with me on that one, time is not on my side (as if we all did not have that issue, right?!). Allright enough about our little village whereabouts and on with the pana cottas....I am not always that talkative (shshh mom), it must be old age!! Combine all the ingredients, except the gelatin, in a saucepan over medium high heat and bring to a boil. Remove from the heat and let the cream to steep for 20 minutes. Pass the mixture through a sieve or a chinois, heat the gelatin in the microwave for 8 seconds and quickly stir it in the cream mixture. Divide it evenly among small dishes, glasses, etc...Let set in the refrigerator for at least 3 hours. Bring all the ingredients to a simmer on medium high heat and cook until the blackberries are soft. Process to a puree with a hand held blender or in a food processor. Pass the mixture through a fine mesh sieve and strain the seeds out, discard those. Let cool completely before you divide the coulis on top of the pana cottas. Refrigerate until ready to eat. 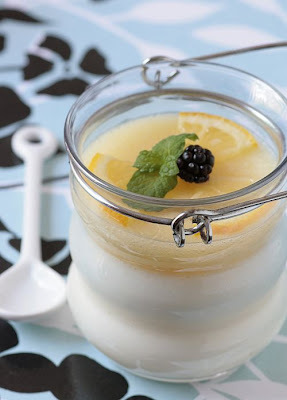 Because its calcium rich components like cream, milk, blackberries and lemons, I am sending these to a favorite blogger of mine, Susan from Food Blogga , who is hosting a great event to raise awareness about osteoporosis entitled Beautiful Bones. Thank you for opening up to us and organizing this Susan! I share your love of pana cottas! These look especially beautiful! I love your little jars! What would happen if I had one of those at 3am? At 6am could I call it breakfast? That would be so nice. Blackberries are so good, but then so is lemon curd. Loved the conversation with the neighbor on the pana cottas! I love it when that happens- um to other people. (so bad of me). Mint grows so wild and it is just glorious, I just need to think of it more often. 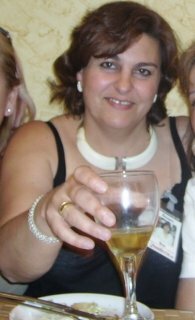 I'm glad to hear that you were partying it up on your birthday Helen! Funny story... not your hangover... but how you told it! Great post. And the mint panna cotta... uhmmm... sounds so refreshing... It is also one of my favorite desserts because like you said, so simple and versitile. Love it! Un dessert qui me plaît énormément, pour moi qui adore le citron et les fruits rouges... bien frais et léger, j'adore! Would you believe I've never made pana cotta...must fix this soon huh! Looks like you've provided the perfect starting point too!! That looks D-E-L-I-C-I-O-U-S! I believe people think pana cotta is a dificult thing to make because of the exotic name, but if they knew what it meant (the name) maybe they would change their mind... haha congratulations for the beautiful dessert and happy belated birthday! Looks great! I wish I had blackberries in my backyard! Gorgeous! One of my goals this year is to make pana cotta. By the looks of this I have all of the ingredients. I may have to try it! From personal experience, if you make the preview step compulsory (ie, people must click preview, then preview what they wrote, then click post) then this stops all spammers I have ever been hit by. I'm not sure if blogger allows you to do that? Both of these look delicious!! My mouth is watering! 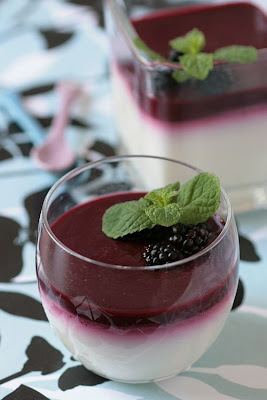 Mint and blackberries sound so wonderful together, and the color contrasts with the pana cotta is just beautiful! 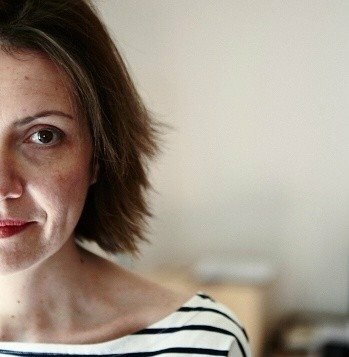 I love this blog, thanks for sharing. 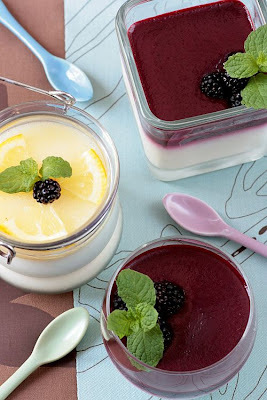 I love panna cotta, but have never made it. It sounds so easy, I don't know why! They are gorgeous! These look lovely. The hangover sounds like it was a great Birthday. Ihave been getting a few spam commnets lately. Just have to be dilligent. I'm not a huge mint fan so I think I'd make these with only the mint garnish. What do you think of using a little orange zest in the panna cotta? Intuitively, I feel like that would work well in this recipe, too. Any thoughts? I have 3 Pana Cotta recipes and have been nervous to try them, for some reason. You've inspired me - I mean, why not? These are beauties! beautiful panna cottas, love it with the coulis. the talkative part? that's not old age, that's the remnants of vodka talking! and "i'll go behind the house and get some blackberries" .... soooo jealous!!! Lovely recipe and the photos are wonderful. sounds like you had a fun time celebrating! I have never tried making/eating panna cotta before, but yours look gorgeous. Oooh, the Pana Cotta sounds SENSATIONAL with the Blackerry Coulis - yum! I'm glad you had so much fun on your birthday...there's nothing like too much fun anyway. And I adore pana cottas...I think I like them better the creme caramel because they are lighter. Looks absolutely yummy ... I'm smacking my lips already and will definitely try these! So pretty! Sorry your head hurt - there should be some kind of cosmic law that says when it is your birthday you can't get a hangover! At least it sounds like you had a great time! Panna Cottas aren't my favorite dessert, but they are my favorite dessert to make! Thank you for your kind birthday greetings Helen! I've been playing around with my rhubarb all morning. Panna cotta is one of my favorites! I'm sorry I hadn't wished you a happy bday sooner, so...happy belated! I'm also very sorry about your friend. It sounds like you are being a wonderful friend to her through all of this, and my heart goes out to her family and yours. Happy Birthday! I always look forward to your delicious looking creations. I love panna cotta, but never make it. My boyfriend is a vegetarian, so I stay away from gelatin desserts. Do you think this would work with agar? Carrie: for the gelatin sheets 4 sheet equals 1 package of powdered gelatin. Punkin: agar would work fine but I rarely use so I am far from being the expert on the subject. Just the word coulis makes me melt, I love that word. And those dishes for the panna cotta...just divne! Helen, I've yet to make a panna cotta but if I'm looking for tipa, it will be found here...dreamy! Such a gorgeous dessert - and few ingredients and visually lovely. What more could a person ask for - besides vodka without the day after. Thank you for a stunning (and calcium-packed) dessert, Helen. Of course, coming from you, I'm not surprised. Oh, how stunningly beautiful. I love panna cotta and the coulis on top makes it perfect. I'd love to borrow those twins to pick some berries for my desserts! :) So cute. mmmmmmmmmmm panna cotta divine!!! Didn't realise it was so simple to make, another must try to add to my list! Gosh Helen these panna cottas looks so gorgeous. Your presentation is simply fantastic. Makes you just want to reach out and grab one. Hmmmm, anything creamy is dreamy. Just love anything cold and creamy especially when it is warm outside. and yum blackberries. This is definitely on my to do list. Blackberries in the backyard? Now, that's what a cal luxury! Lovely panacottas - I love the mint addition. That has to be delicious! Oh I love the contrast with the blackberries...that is stunning. I'm glad you had fun, you certainly deserve it, darling! Happy Belated! Sorry I missed the party. The use of glasses and jars is so creative! Such a nice presentation. Good job. Omg, did I remember to say Happy Birthday? I know I planned on it when I read about your lemon meringue birthday trade with Kate, but now I can't remember! The pana cottas look wonderful, so fresh and light. Hope your head feels less like vodka now as well. I seriously would love a big spoonful of that beautiful dessert right now!! It really turned out so pretty, and it's so summery looking too! Wow that looks delicious. I love the little rippled jar you used with the lemons on top. Did it used to hold something? Howdy neighbor! Sometimes if feel we live in a different city. Blackberries in your back yard? Lucky you, looked in my yard and couldn't find any. Do you want to believe I have never had a panna cotta? Shameful and I am going to change that mighty soon. Cute story and pics. I love the effect of those vivid colours put next to each other Helen! Panna cotta's top of my list too...but yours takes the cake,oops I mean panna cotta...it's beautiful beyond words. Perfect for Susans'! The colors in this dessert look great. I love how elegant this dessert looks...and it's healthy too :). Wow. That was soo easy to make! I'll be making these tomorrow! I have always wanted to try panna cotta and now I have a reason to do just that!